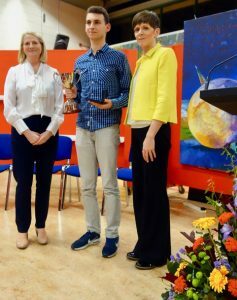 Berinyuy NJOLAI Studying German in Stuttgart before commencing Medical school. Aoife DALTON Currently studying French in Corsica. 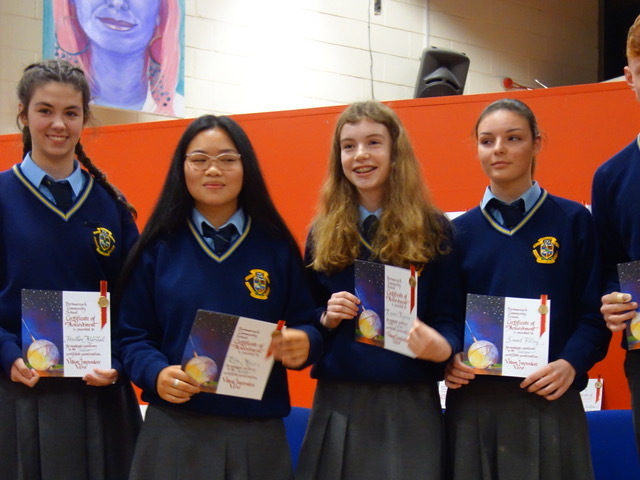 On Thursday 20 October our Annual Academic Awards took place despite a power cut. The candles were not the only bright lights that graced a wonderful evening of celebrating excellence in our school community. 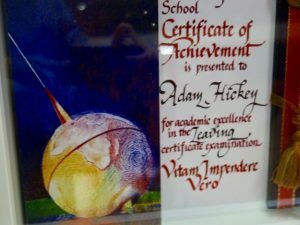 Mr Higgins surpassed himself yet again by crafting individual certificates against a backdrop featuring themes of journey and endeavour. 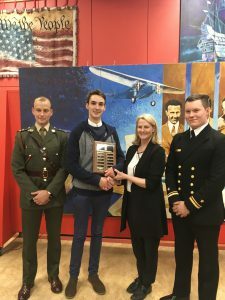 Mr Fitzgerald introduced our guest speakers; Lieutenant David Melvin of the Irish Navy and Troop Commander Colm Fahy of the Irish Defence Forces, both 2003 graduates of PCS. 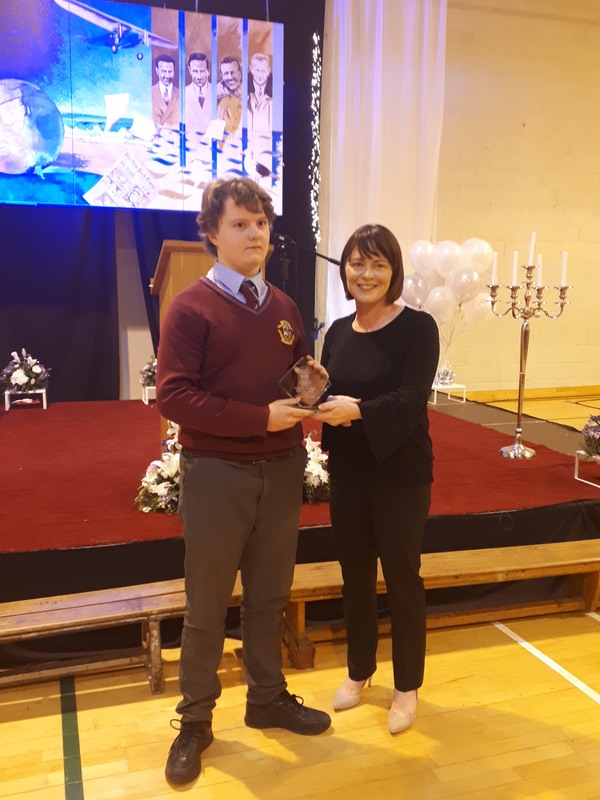 David spoke of the importance of leadership and how he received a grounding in leadership skills in PCS through his teachers mentoring and his extracurricular activities. Colm spoke powerfully about how the resilience he developed through sport and the influence of specific teachers has served him well in his leadership role. 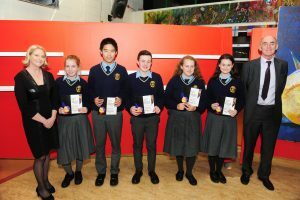 Our Student Leader Prefects were of great assistance throughout the evening. 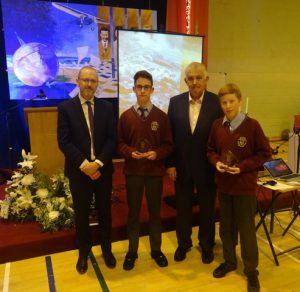 Mr Maynes then announced our Leaving Certificate Awards which were presented by David and Colm. 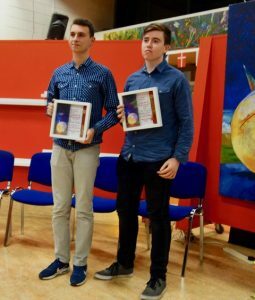 Sam Cox received the Gold Medal Award for the best LC results of 2016. 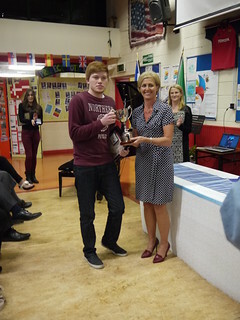 Cian O’Brady received the Ger Kenny Cup for Excellence in Mathematics. 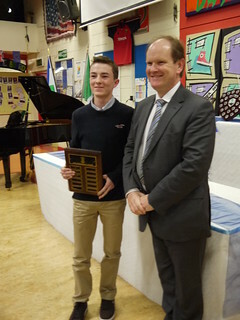 Christopher McMahon accepted The Principal’s Award for his contribution to School Spirit. 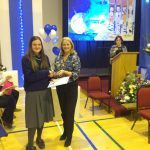 Leaving Certificate Academic Awards 2016. 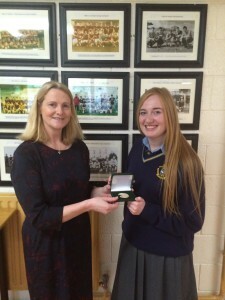 Ms Gaffney then announced that Jessica McMahon was the recipient of the Junior Certificate Gold Medal Award. Florence Okojie reflected on her and her fellow students’ Short Course journey through which they learned to confidently promote events and produce wonderful creations. 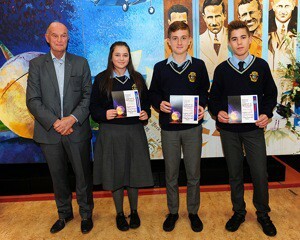 Mr O’Mahony returned to PCS to fittingly present our first Short Course Certificates. 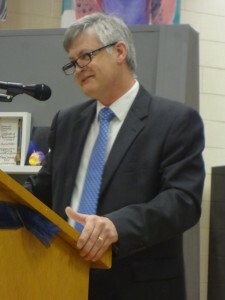 He spoke of how proud he was to see these courses producing such assertive and skilled students. 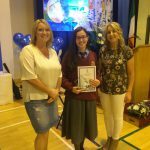 Ms Bradley (Media Literacy) and Ms Tynan (Animation) announced their graduates to mark this historical milestone for PCS. 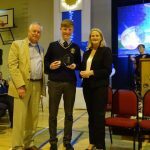 Mr Clarke then presented the Student of the Year Awards (see below) and the Second Year Public Speaking Award to Diandra Reddin. 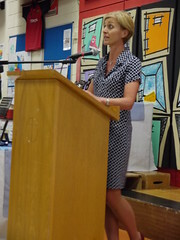 Ms Deeney concluded the candlelit evening as the lights came back on to see our shining stars home. 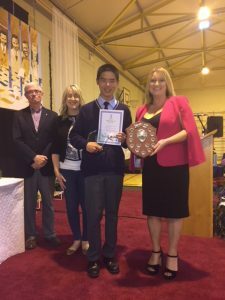 On Wednesday 14 October 2015 we hosted our Annual Academic Awards attended by proud parents/guardians and teachers and beaming students. Mr Higgins excelled once more with his coveted certificates and Southern cross painting. 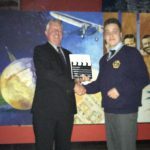 Mr Fitzgerald introduced Mr David Hickey as our guest speaker. 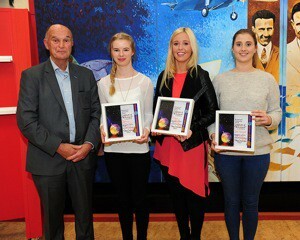 He is a former footballer and current selector for Dublin and the current Director of Transplantation. 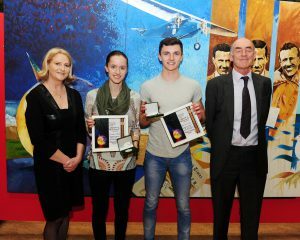 He was awarded two all-stars for Dublin in 1974 and 1976. He won the All Ireland with Dublin on three occasions in 1974, 1976 and again in 1977. David has won two League Medals with Dublin in 1976 and 1978. 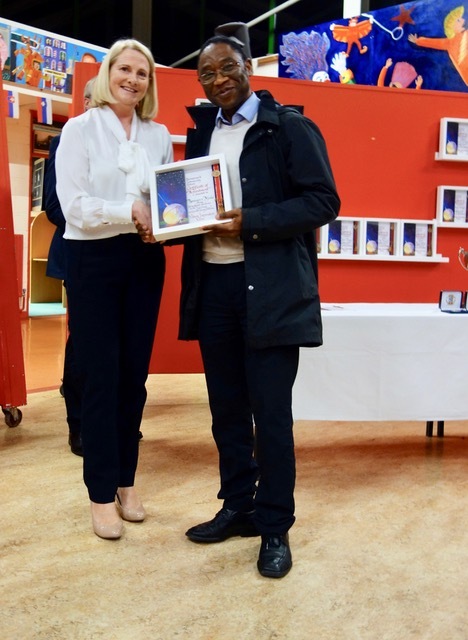 He is a consultant urologist and transplant surgeon. 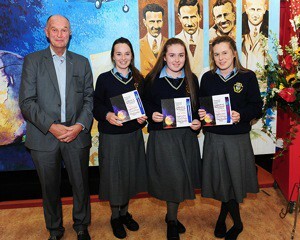 Mr Hickey spoke of how we must be true to ourselves and not accept the status quo if we are to make a mark on our world. We must blend compassion with ambition and help the vast majority of the population who are not as privileged as us. 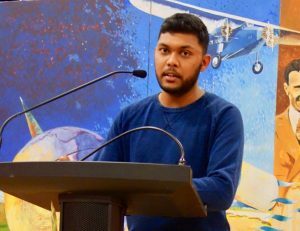 His simple and truthful message will echo in the future actions of all who were present. 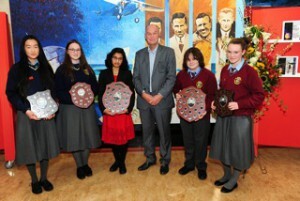 Mr Hickey presented our awards with the assistance of our Prefects. 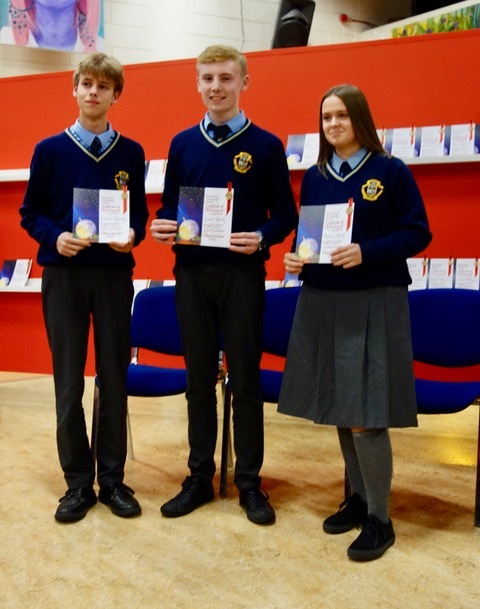 Deputy Head Boy, Conor Holland and Deputy Head Girl, Fiona Tighe introduced our Students of The Year who are awarded for their overall contributions to school spirit. 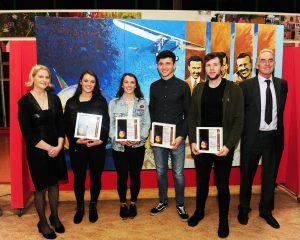 Caoimhe O’Reilly, Cormac Donnelly, Aliza Alias, Maedbh Donnelly and Aisling Moore were the worthy recipients. 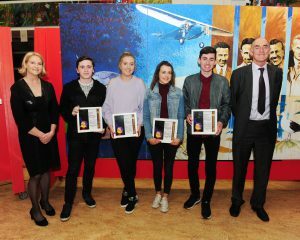 Mr Clarke presented the Leaving Certificate Awards on behalf of Mr Fitzgerald. 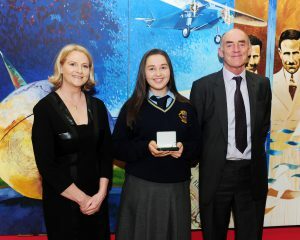 The overall Gold Medal Winner was Kate Finnucane who is studying Science in TCD. 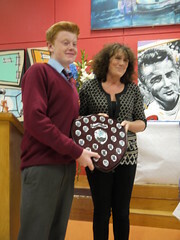 Our Principal Ms Deeney then presented Daniel Burke with the Ger Kenny Maths Award. 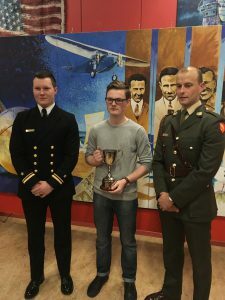 Daniel is studying Actuarial Studies in UCD. 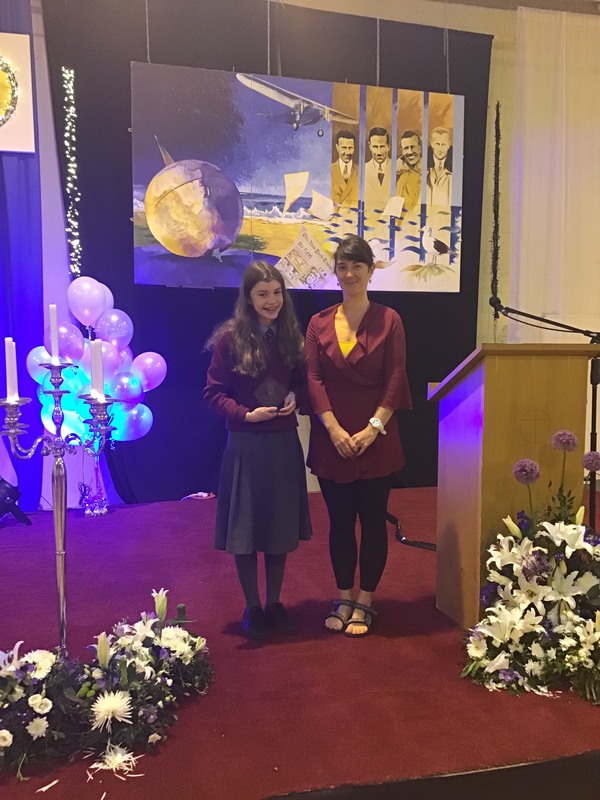 The Principal’s Award for contribution to the school community went to Rhiannon Curtis-Davis who is studying Primary Teaching in DCU. 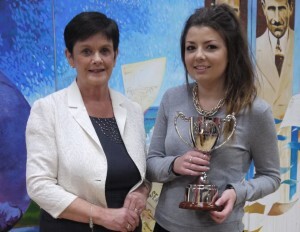 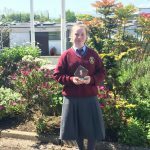 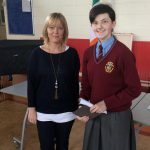 Congratulations to Lauren Fitzmaurice who received her Public Speaking Award from Ms Gaffney. 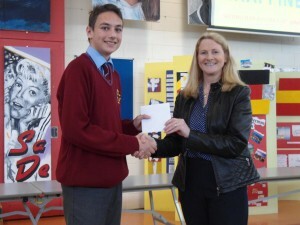 Congratulations to Adam Al Ja’Afreh who was presented with his award for Public Speaking by Ms Deeney. 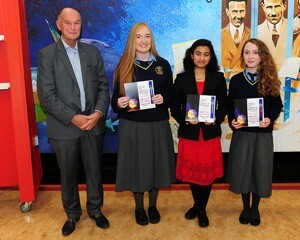 A wonderful celebration of academic excellence in the state exams took place last night. 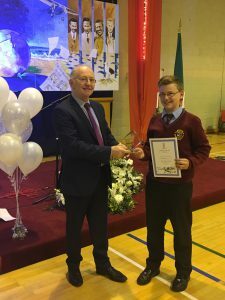 Mr Higgins whose glorious artwork formed an historical backdrop to a great night transformed the Assembly Hall into an impressive arena of awards. 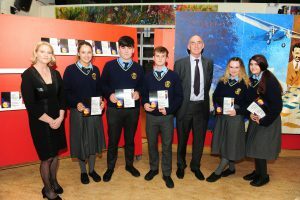 Parents witnessed students being presented with the fabulous awards which were also designed and created by Mr. Higgins. 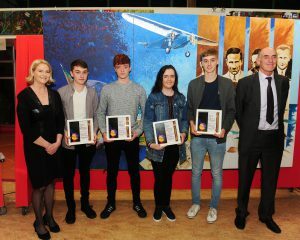 Our returning Leaving Certificate and last years Junior Cert students who excelled in their exams through dedication and long hours of study will treasure them for a very long time. 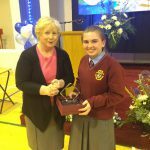 Our Principal, Ms Deeney, welcomed our special guest speaker Mr Shaun Quinn, Chief Executive of Failte Ireland. 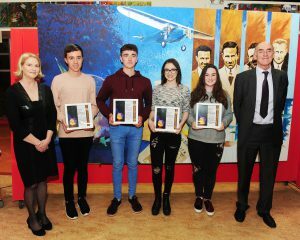 Mr Quinn exhorted the students to retain their work ethic, as it is this that will set them apart from others with similar skills. 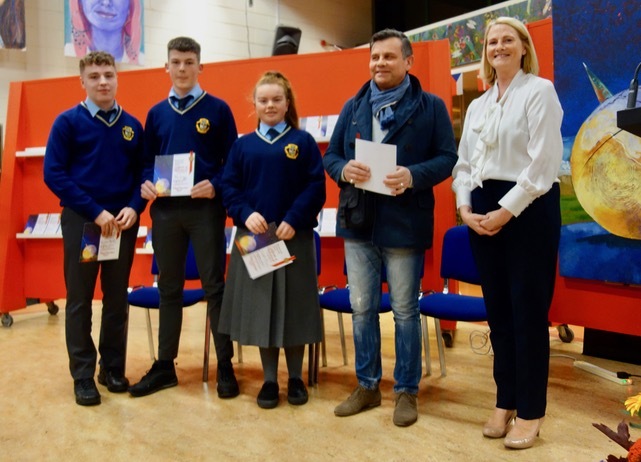 He emphasised a focus on goals as important also saw interpersonal skills and emotional intelligence as attributes that will enhance opportunities.Mr Quinn then presented our most successful Junior Certificate students with their certificates. 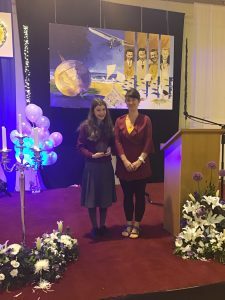 Ms Norris read out the list of names concluding with Rachel Donnelly-­Lawlor who won the Overall Junior Certificate Gold Medal Award. 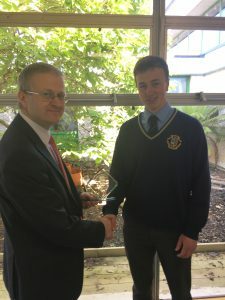 Mr Clarke then called the Leaving Certificate students forward, concluding with our Overall Leaving certificate Gold Medal Award winner, Mark Nolan. 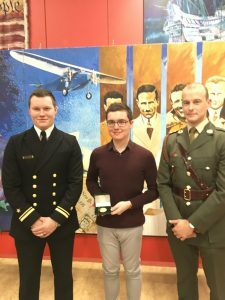 Mark is studying Medicine in TCD and continues to be a remarkable individual who is not only highly focused on his studies but also on his community. 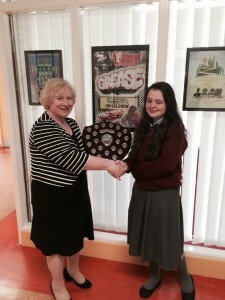 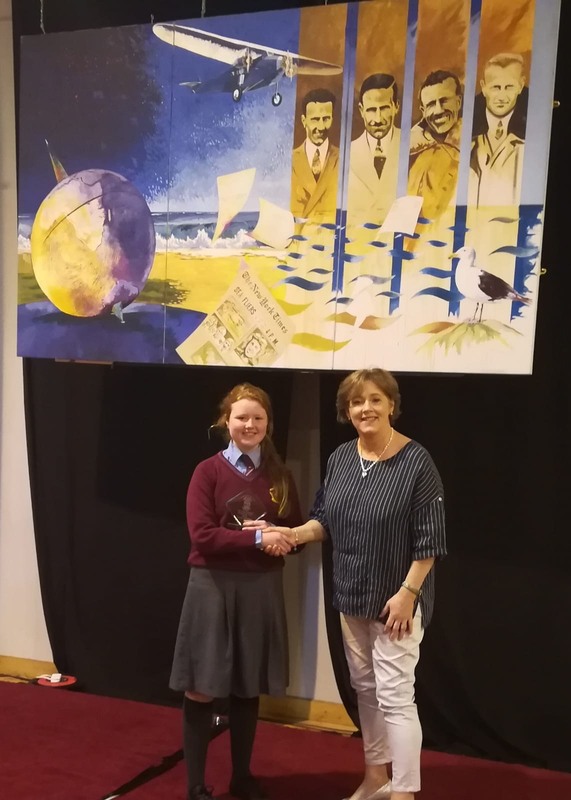 We were delighted that Ms Geraldine Kenny returned to PCS to present our Annual Mathematics Award to Kate Hawkshaw. 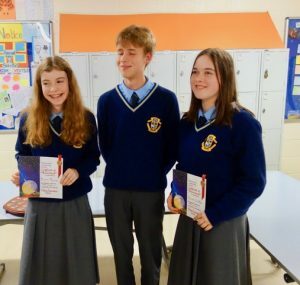 Our Head Boy and Head Girl, Ultain O’Morain and Ailbhe Twomey presented our Students of the Year with their trophies and medals. 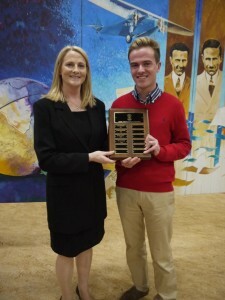 Students from each year are marked out as contributing in a significant way to school spirit. 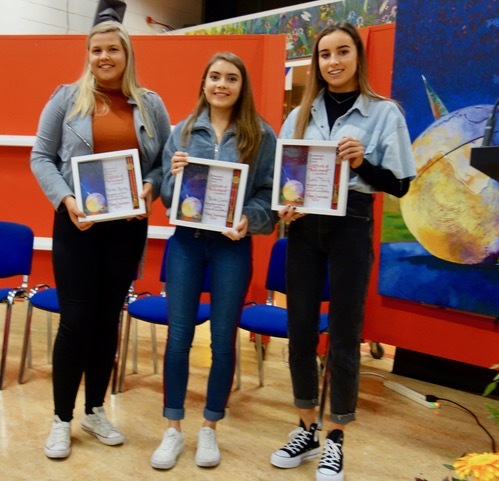 The winners were: Holly Ramsey (1st Year); Ashlee Rocliffe (2nd Year); Oisin Reilly (3rd Year); Faolan Radcliffe­McGovern (4th Year) and Kate Finnucane (5th Year). The Principal’s Award is given to a student that has excelled academically but also contributed widely to our school community. 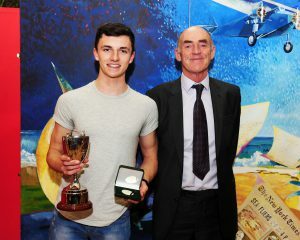 Mark Nolan was a most deserving recipient. 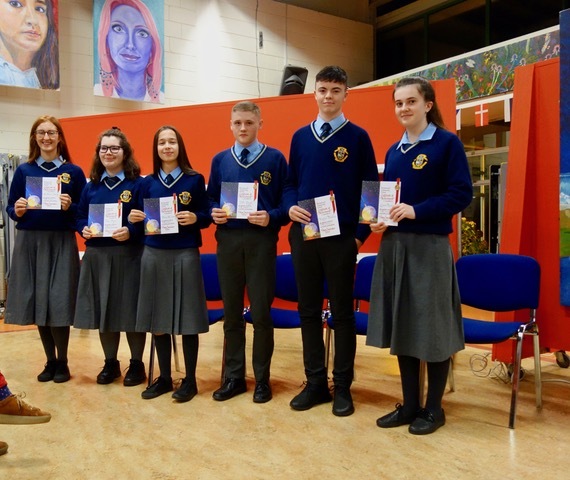 Our annual Academic Achievement Awards mark one of the most important evenings in our school-year, when we celebrate the success of our students following their Junior and Leaving Certificate results. It is an opportunity also to acknowledge their parents / guardians and teachers for their role in supporting these young people. 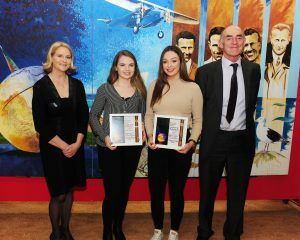 The Leaving Certificate Gold Medal Award for best results in PCS was awarded to Holly Herbert (Trinity College Dublin, Science). 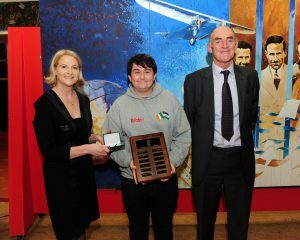 The Geraldine Kenny Award for Mathematics was awarded to Stephen O’Shea (Trinity College Dublin, Theoretical Physics). The Principal’s Award for the Class of 2013 was awarded to Evan Davis (University College Dublin, Commerce). 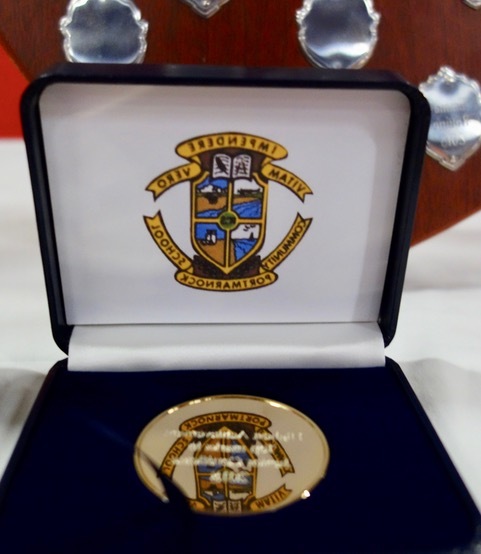 This was presented by Mr. Pat O’ Riordan. 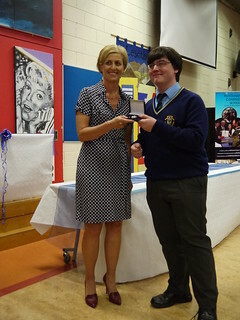 The Junior Certificate Gold Medal Award was presented to Sam Cox. 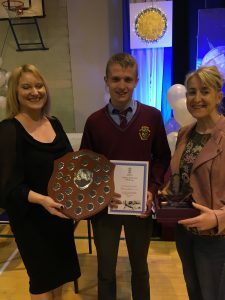 The Second Year Public Speaking Award was presented to Matthew Petherbridge by Mrs. Ciara Freaney of the Parents’ Association. 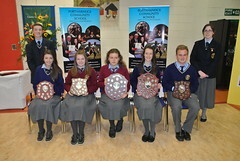 Caitlin Cassidy, Aoife Mooney, Fiona Tighe, Chloe Carolan and Christopher Derby were all presented (by Cassie Hackett and Mark Nolan, Head Girl and Boy) with their respective trophies as 2012 / 2013 Students of the Year. 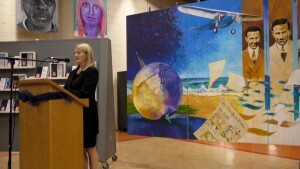 There is a full photographic record in the photo-stream on the right. 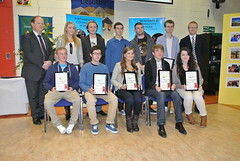 The Academic Achievement Awards for 2012 were presented to students on Thursday 11th October. These students represent the individual 2011/2012 Students of the Year from First through Fifth Year and the students from Third and Sixth-year who achieved outstanding success in their State-examinations. 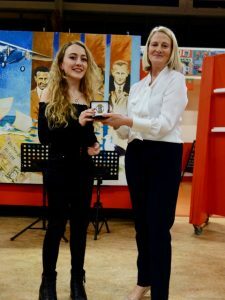 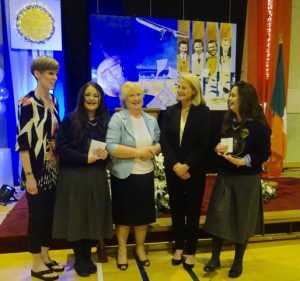 Portmarnock Community School has many awards ceremonies and this is the one which represents what is best about teaching and learning within the school. 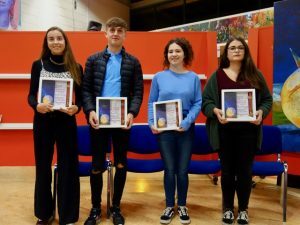 We are delighted with our student’s success, in particular the Sixth-years who have achieved challenging courses in Ireland’s and indeed the United Kingdom’s best Universities and Colleges of Higher Education. 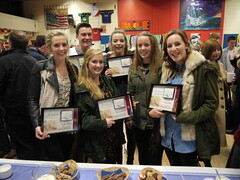 They are wonderful role-models for the younger students at the awards ceremony and indeed to all the school community. 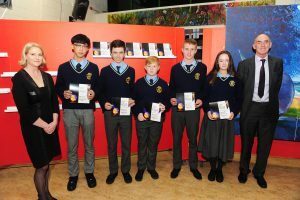 A list of the students who received their award is here. 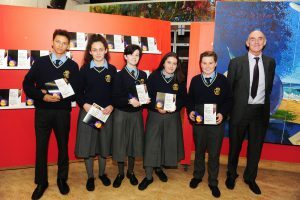 The inaugural Academic Student Achievement Awards took place in Portmarnock Community School on Tuesday 11th October 2011. 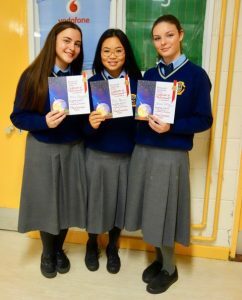 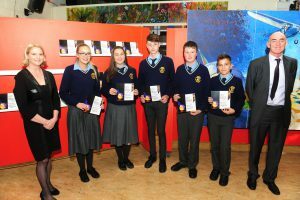 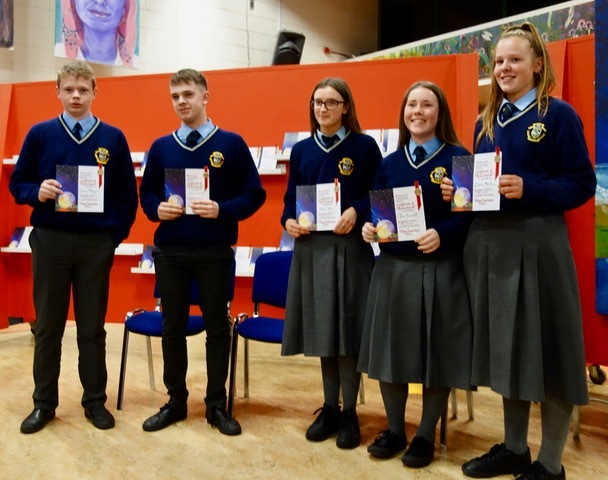 These awards acknowledge the academic achievement of the Leaving Certificate and Junior Certificate classes of 2011 and were made to the students who achieved high grades in the recent Certificate examinations. 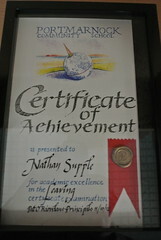 We are proud of all of our students and salute the success of the 2010/2011 Sixth-year class. 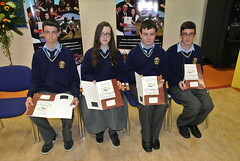 We wish them all every success in the future. The school celebrates the success of students right through their school life with a Subject Award ceremony every May. 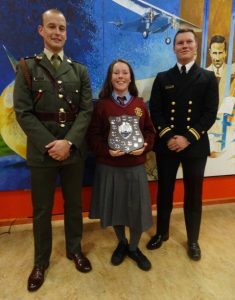 Transition Year students also have their own ceremonial evening. 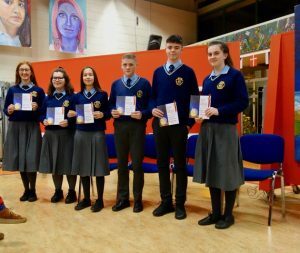 Last nights Academic Student Achievement Awards ceremony is part of that process, allowing us to honour Sixth-year students in particular, who achieved excellent results in their Leaving Certificate. 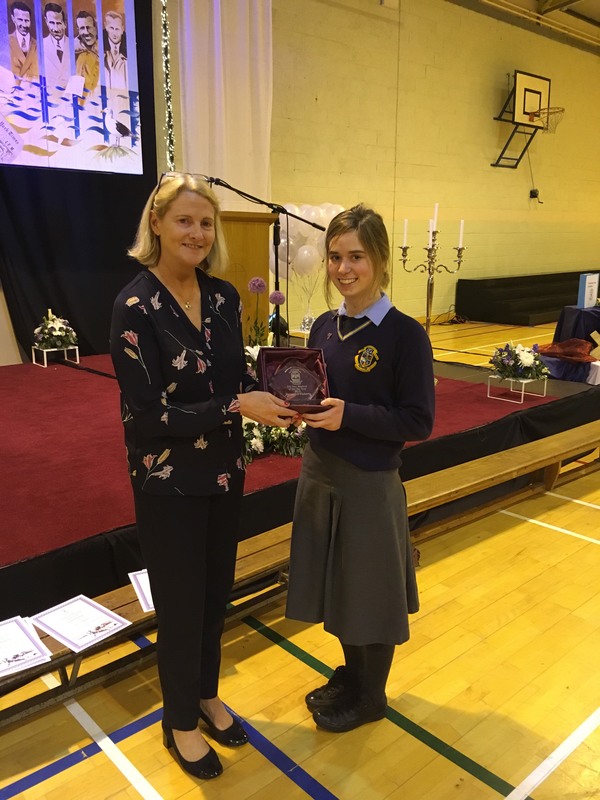 We want to acknowledge the work of the teachers over the past six years and thank them for both their outstanding dedication to their subject areas and to the students in the school. Last nights ceremony could not have happened without the work of a committee of teachers who planned the awards, designed the certificates and essentially made the evening the success it was. 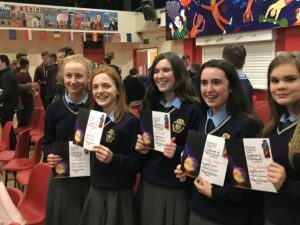 They were supported by the Sixth-year prefects. 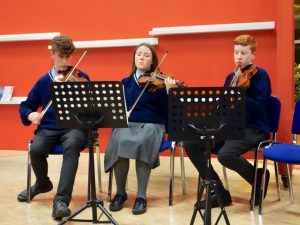 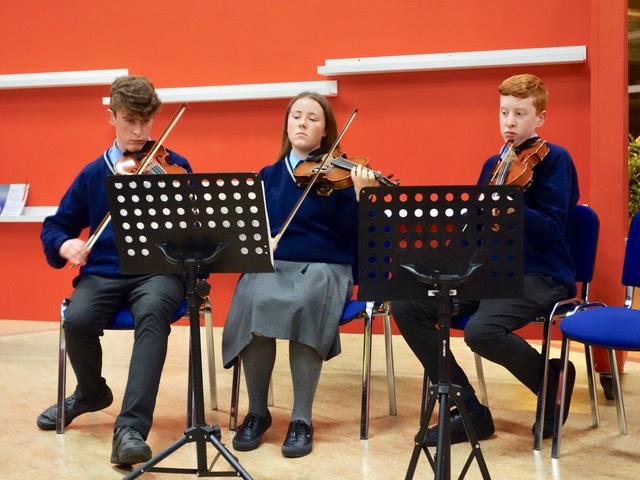 The Transition Year Music Class provided musical accompaniment.